The only excuse I can offer is that, as a college student, I'm going through the last-week-before-finals crunch right now, and that's led me to be a little... scattered at the moment. I'm terribly sorry. On the plus side, this completely throws off everyone who was camping the page trying to comment first, and that's always entertaining. This actually isn't the one I have a joke set aside for. Sometimes, ideas for joke comments about certain events just pop into my head, so I hold on to them for later. As long as you're okay, I'm good with a delay. Thanks for making gold out of the first two comments. Good luck on your finals Newbiespud! Holy crap on a cracker, an update without 50 people already having commented. I didn't realize it at first, but despite the limp horn, Twilight managed to move the brush magically. Kinda hoped that would come up here. I don't think the floppy horn impedes the use of her magic by any great amount. That being said, Twilight is female, and her horn is part of her face. Add to that the fact that her special talent is her magic, and she takes great pride in it. It's totally understandable that she would be incredibly upset about this. Although levitating the brush is an animating error, I always rationalized the levitation by imaging the levitation as the last gaps of magic sputtering out of crippled horn before the horn stops working all together. Was that confirmed somewhere, that the levitation was an animation error? I've never heard that before. The math works out for me. I thought it was more Psychosomatic. She never TRIES using magic after her horn goes floppy, so she never sees if she can. That's not the only thing you wouldn't use if it was floppy and covered with strange spots. Man, that is the last time I sleep on my arm near the leech habitat. Excellent move, Raxon. Well done. Yeah, that occurred to me as well. Did they ever actually say she couldn't use magic with her horn like that? She never mentioned having difficulty so I always thought it was an entirely cosmetic effect. Yeah, finally I caught up! Great Comic! Let the Majora's Mark reference storm begin! Now if the Mane 6 will kindly get my mask back from that mischievous zebra...? "Darn it! Big Macintosh told me he was clean!" Nah, Twilight just made the mistake of hanging around with Madame Mim at a bad time. Why do you think she was so eager to duck out on the wizard's duel with Trixie? "Getting banished to the moon isn't normal, but on myth it is. Myth: Not even once." Bed head? Yeah, that's a rough one when there's not a brush to be found anywhere. Incidently, Twi has cutest bed hair. Yeah, the unmaneaged look suits her. Individualized notes like this are a time-honoured tradition in Paranoia, I'm told. One mission reportedly involved giving each of the players a note that read, "You're infiltrating [secret society]. [Person on left] thinks you're their superior; find evidence of their treachery and execute them. [Person on right] is your handler." Like most "zap-style" Paranoia adventures, hilarity rapidly ensued. I still would have gotten it if I hadn't been AFK at the time. RSS desktop notifications FTW. Oh Twilight, performance problems are common for unicorns, it's nothing o be emberrassed about. Based on the fact that her reaction was as vocal as everyone else's (save Twilight), it looks like Fluttershy's already in character! ...Okay, no, but I can't wait to see how that's played out. You need a better excuse! Because that one is totally reasonable and understandable. You need something absurd, like killer wallpaper or robotic leaches. "I'm Robot Leach, and today on Lifestyles of the Limp and Heinous..."
Wow. Did the party beat up the fighter for that stunt? I know that kind of player... My entire highschool group is made up of Loonies. Story time! This strip's edition: Curses, jinxes, diseases and other maladies with unique, funny, special or plain weird effects. Fun for the whole temple, except the ones suffering from it! Pony Team Bravo doesn't seem to suffer from these much: They do seem to inflict them, though! Among other things, we petrified a changeling and gave a differnt changling an ugly-looking, purple twin horn (both thanks to a d100 "tons o' fun" table). 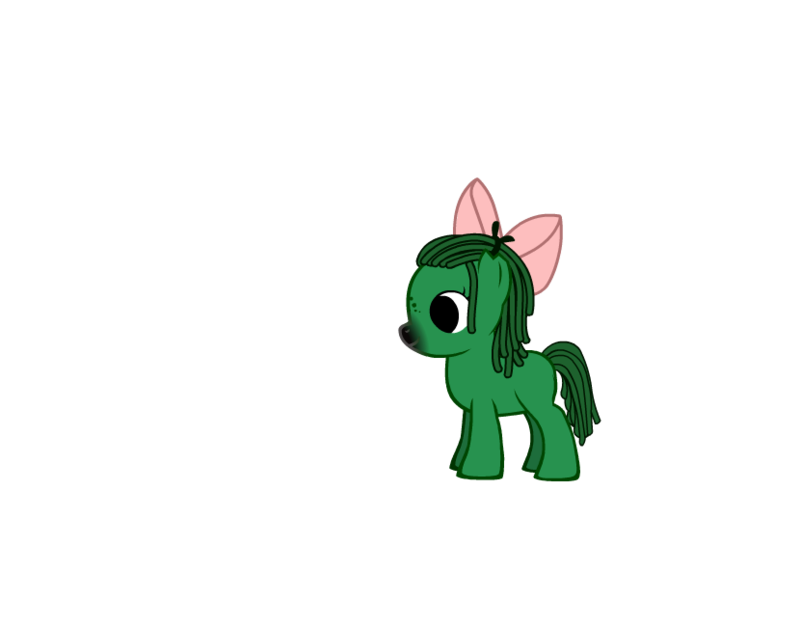 We also kinda transformed an eldritch abomination into a baby foal. Eldritch abomination baby foal? D'AWWWWWWW.... Was it a boy or a girl? Twas a filly after the transformation. Before that, we really weren't certain. -Every morning, you wake up polymorphed into something else, with race, gender, age, color and all that changed at random. -The curse only ends when you wake up in the body you hate the most( "No! Anything but THAT!" kind of deal), at which point you become permanently stuck in that body. 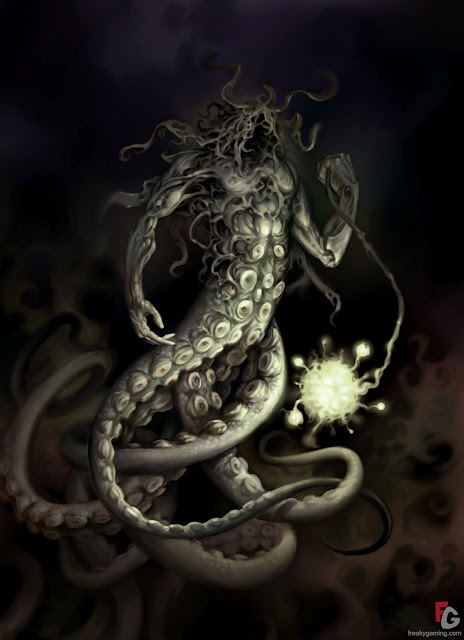 -Prevents any attempts to reverse-polymorph, reincarnate, or otherwise have control over your body's shape. As long as the curse is active, IT decides what you are, period. Especially after it ends by itself as per above point. -Doesn't actually affect your body, it's on your very soul: if you die and come back to life in a new body, you're still cursed. -Is contagious: any soul coming into contact with yours also gets cursed. Telepathy, "sending" spells, and the likes propagate the curse. -Needs a dispel roll of over FORTY to get rid of it, any failed attempt makes it even higher. Stated as utterly impossible to dispel once it ends by itself as per first point; you don't even get to roll. -Could potentially affect gods, I think. And I got it from a completely random, neutral encounter while traveling. It ended up being useful, so I didn't mind it too much in the end. Time to go use that on my irritating DM's favored character. Muahahaha. Except the contagious part. Yech. I'll just set this here, and let you be the judge. I have no idea what the symptoms might be, but I do know it definitely wouldn't be airborne. It's gotta be spread through touch. Most likely via tentacles going in places tentacles ought not go. After which you are allergic to seafood and obsessed with all things English. The most hilarious thing I ever did to one of my characters wasn't even a curse. The first thing you must know is that he was a male wizard, starting with 18 INT. The second thing you must know is that I rolled extremely low for his age. Impossibly low on some charts. Effectively I had a male wizard who was in the beginning stages of puberty. And his voice was breaking. The third thing you need to know was that I had made him an elf, and the entire group (including me) agreed that this meant his puberty would last proportionately longer than a human's. So his voice was expected to stop breaking in about a decade. Give or take a couple of years. Well, not exactly a curse. My character in the "Zilean's Revenge" campaign accidently activated an orb that said "Invoke me-know death". I later learned that both of the people who had activated the orb before had died shortly thereafter (one in a workplace accident, the other of a heart attack). So I thought that I was screwed. Turns out the orb allows me to see Death. Discworld's Death, to be precise. While his presence is...concerning, he's not antagonistic or anything, he's just a guy doing his job. Also, he can be inadvertently helpful. For example, my character just some him glance at an hourglass while headed in the direction of another PC, indicating that the rest of the party doesn't exactly have time to dawdle. Our DM has a habit of introducing an item Of Many Things when we annoy him. Usually it's anything we have but have never used, and may not show up for weeks. OH, curse stories! I love these! Mine range from genuinely tragic and sad to funny, but in the sake of keeping the spirit I'll just share the funny one and keep the sad one to myself unless someone asks. One such thing he tried to do was curse the dock to the fishing town that was doing this to make everyone who stepped on the dock spontaneously topple into the water. The GM wasn't sure if this would even work (since it's obviously taking a creative use of the spell Curse) and had me roll Spellcraft to see if I could do it. My witch is waiting in the water reeds (completely unaware of his botch because he wouldn't really know whether or not it worked until it was tested) and silently observing the dock to see if the test subjects for the curse (a group of very important people going for a meeting) would fall off. Man number 1 steps onto the dock aaaaaand… gets stuck. He absolutely cannot move. His shoes are practically superglue-strength melded to the dock. It takes three other people and some careful maneuvering to lift him out of his shoes. They then had to lay down boards to get to the boat and moved on. The shoes were later bronzed because hell, why not? No one knew what else to do with them. Curses can be all sorts of terrible or fun. The benefit? A flat +1 to all d20 rolls, with an even larger bonus to Aracana, Bluff, Diplomacy, and Religion skill checks. The catch? All characters that took it must act sickeningly chipper at all times. The look on their faces was priceless when I handed them the note with the bonuses, then went "oh wait, forgot something" and added the catch below it. Can you say mood whiplash? The best kind of curse is the one the player, not the character, feels. You know, this really wouldn't be a bad thing for me. I'm a morning person as it is. There are some players, like myself, who would take this as a challenge. Beware the player who grins excitedly when you think you're screwing them over. They may make you regret your attempt at trickery. "Beware the player who grins excitedly when you think you're screwing them over." Beware the grin, Raxon? THE GRIN SHOULD BE THE GOAL! MWAHAHAHAHAHAHA! "Gooood morning! Isn't it a giggletastic wonderiffic super special awesome day today! I had a sweet little birdie wake me, and now I'm here with all my friends! Hey, I know! Let's all play a game! Let's all stay in character for the whole session! It will make the world a better place!" After all, the point is to have fun. You are having fun, aren't you, citizen? Captain Butch Flowers? I thought you were dead. I see Twilight is having "performance issues". They have a little blue pill to fix that. You take it, and you wake up in your bed and believe whatever you want to believe. Haha, that's a clever answer. I like it. That's a pretty clever way to create an effect with the cards, do DMs often use that technique? It's a really old technique used most commonly for when EVERY player has exactly one affliction/piece of knowledge given to them and are expected to keep it secret. Not a curse, per se, but in a Pathfinders game I'm playing I ended up with an axe-wielding barbarian elf girl, who was usually the character to take point when the group was going into something dark and likely to kill them. On one of these trips, we ended up running into a pair of pyromaniac kobolds and took them down easily. The only casualty was my barbarian, who ended up covered in Alchemist's fire. Five minutes of improvisation later, we had a mostly-unharmed barbarian wielding a FLAMING axe. The GM was not amused. I'm thinking chronic short-term memory loss and perpetual drunkenness as starters for two of my characters. We've only seen the flower make physical alterations, but mental ones could be a lot of fun. Besides being less easily noticed. Try reversing their sense of up and down: The character would have a constant sense of vertigo, and would probably be terrified of stepping outside. Eesh, finals are evil. Seriously. I've been too stressed out to even work on story writing because of finals. Still doing comics though...have to for work.